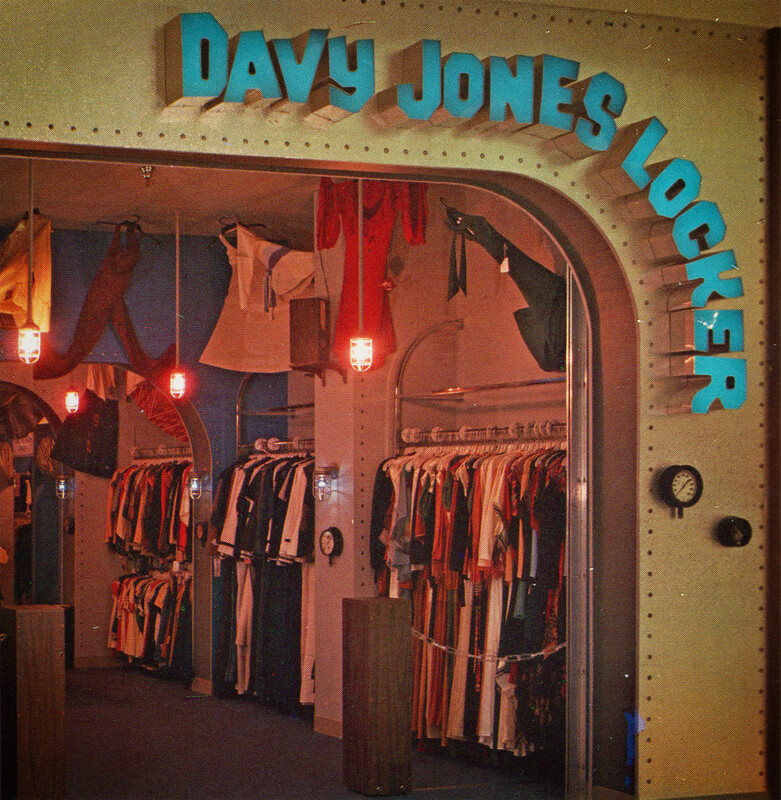 In the mid 1970’s Davy Jones Locker claimed to have been the fastest growing hip clothing chain for guys and chicks. However it is nearly impossible to find any history about this unique retail store. We do know that Davy Jones Locker was an outgrowth of the Merry-Go-Round concept. The company was looking to create another exciting and innovative approach to retailing. Inspired by the boiler rooms of steamships, the interiors followed a nautical motif. Lighter interior colors were used with more elaborate fixtures. A shiny entrance contrasted the authentic maritime instruments that were taken from old ships broken down for scrap. Steel piping was used for the display racks and storeroom like bins held other merchandise. 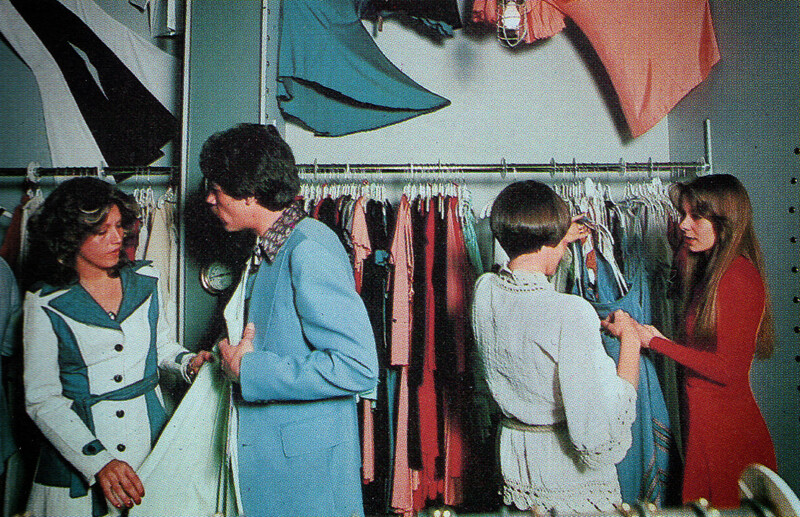 Imitation bulkheads were used to divide the store space just like compartments in a ship. And luminous bare bulbs hung inside metal guards reflecting onto the silver interior walls. 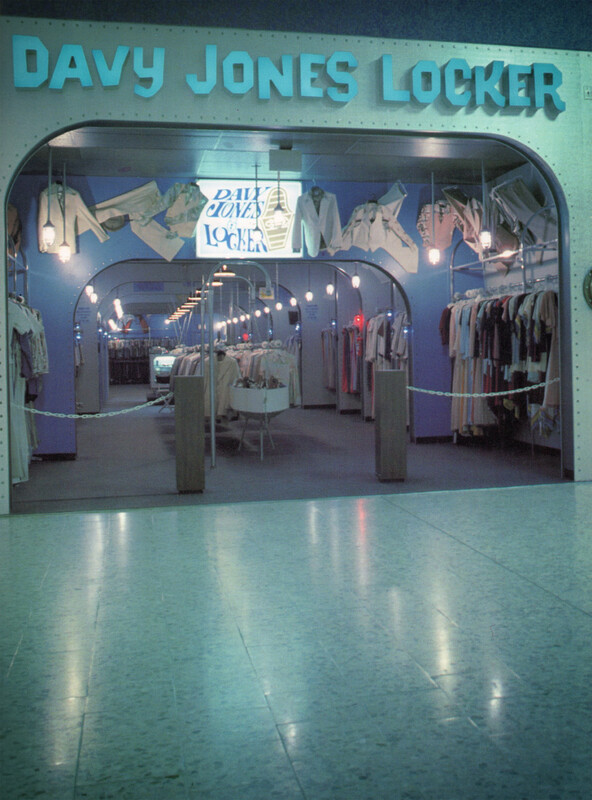 Stores were stocked with clothes that appeal to people in their twenties, with the emphasis on fashions that were just a bit more sophisticated than the Merry-Go-Round lines. Everything from jeans, to blazers and three-piece suits to formal gowns for the gals. Brand names such as Brittania, French Store, Male, Don Manuel and Jungue were stocked. Davy Jones Locker even carried shoes. 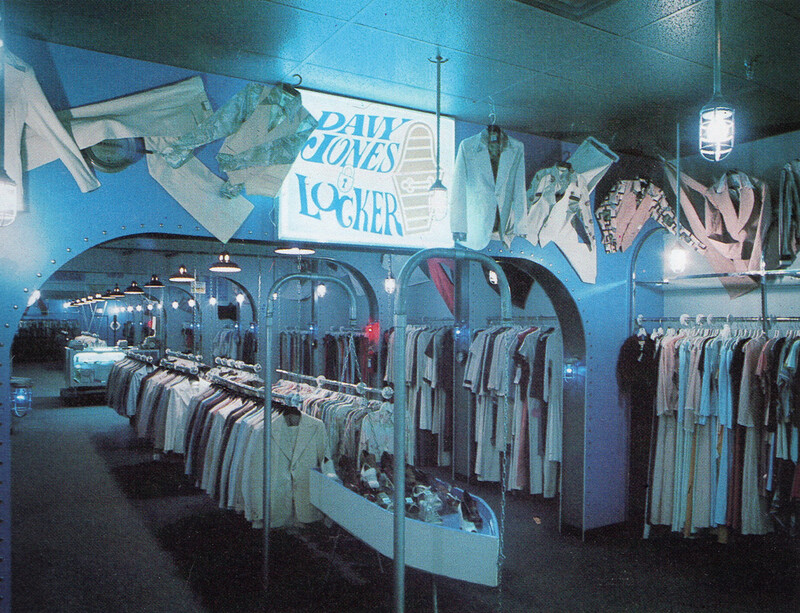 The first Davy Jones Locker open around 1972, just over three years after the first Merry-Go-Round store was opened. Unfortunately it is unclear why or when this division of stores was shuttered. I personally do not remember this store, although I wish I did. But I know there are many found memories from those of you who do. Seriously? I have never seen another Davy Jones bag any chance you can photograph it and email me?